Jefferson City MO experience intense winter months that can cause major destruction to homes. In addition to cold temperatures and snow and ice, winter brings dangerous driving conditions and the potential for damaging and deadly storms. 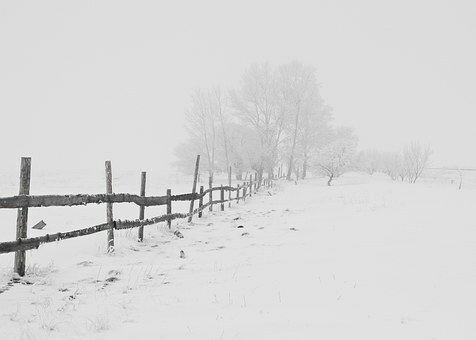 Severe winter storms can be extremely dangerous. In this article, you will learn how to make the most of your Jefferson City winter prep time. The most common form of property damage in the winter in Jefferson City is due to frozen pipes. Frozen water causes the pipes to expand, which can lead to cracks within the pipeline. When temperatures rise above freezing, however, these cracks can cause unwanted water flowing within your property in large volumes. Fortunately, there are a few ways to prevent frozen pipes. Keep reading to find out how to prevent it. In Jefferson City, there are very harsh winters you have to deal with. Most homes have insulated pipes, however, there are certain areas that are usually forgotten. Places such as the garage and sprinkler systems. Pipes that are directly exposed to the outside weather are most vulnerable to freezing when the weather drops below 32 degrees. When you insulate your pipes, it creates a barrier between the cold weather that can prevent pipes from freezing when the temperatures drop. When you live in a place like Jefferson City, you can’t take chances, you have to prepare. Many people in Jefferson City tend to turn the thermostat down when they leave their home or business. Harsh winter nights put your pipes at risk of freezing if the internal temperatures go below 55 degrees. To avoid this, make sure the internal temperature of your property stays no cooler than 55 degrees. When dealing with harsh cold winters like in Jefferson City, leaving the water running can actually save you money. You might think it will cost more to continuously have a trickle of water flowing from the tap, but that is not the case. It will cost more to fix frozen or damaged pipes than to leave the water running so the pipes don’t freeze. Keeping your garage door open in Jefferson City can lead to tons of frozen or damaged pipes. When you keep the garage door closed, it allows any heat from the building to stay at a higher temperature than if the door was kept open. Even though the heat rise is small, it could be enough to prevent any pipes from freezing. Dealing with winter in Jefferson City can lead to damages in your home or business if you’re not careful. Remember to insulate your pipes, maintain temperatures, keep the water running, and your garage closed. That is how to make the most of your Jefferson City winter prep time. And if you experience damage, there is a company who will help you no matter what. 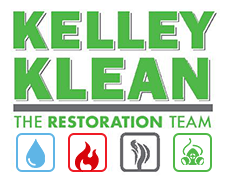 Kelley Klean is a full-service restoration company with experience restoring properties from water damage caused by frozen pipes. For more information on Kelley Klean, call their number (573)561-5382. It’s not out of line to expect your employees to know how to push a broom around the break room. 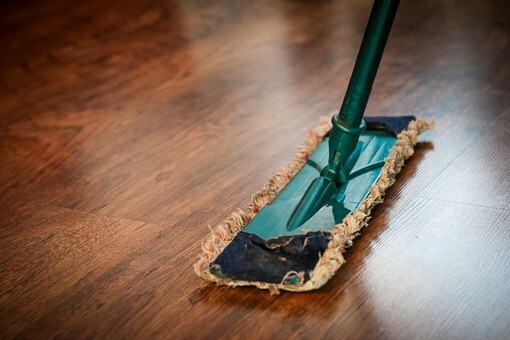 As long as you’re not trying to get them to tidy up during their time off the clock, it’s fine to expect them to do their part to keep your store, office, or other place of business clean. A hardworking staff can only go so far, however. It’s one thing to ask them to dust, and it’s yet another to ask them to tackle any of these five tasks. Sometimes you don’t need the lowest seniority employee to don an apron: sometimes you need a full service cleaning company to take on the mess. If you don’t work in an industry where hazardous chemicals are common, don’t ask anyone on your staff to deal with them. Call a cleaning company if a tub of cleaning supplies spills over the floor. You don’t want anyone to get hurt on the job. Be sure to get the area isolated, and then call in a full service cleaning company to deal with the crisis, only as needed. Asking an employee to pitch in and mop out the bathroom is one thing, but asking an employee to clean up sewage crosses a line of employee safety on the job. Untrained staff should never deal cleaning up with hazardous waste materials like sewage, bodily fluids, and bodily waste. There’s a large risk of contamination, and it can pose serious health risks when someone incorrectly disposes of it. Even if your staff member isn’t injured or sickened, they could be throwing it out improperly, and in turn pass that risk on to others. While the first two points have to do with the health and safety of your staff and others, this is a matter of economy. If you want to buy a steam cleaner and get people to clean the carpets on the clock, it can seem like you’re saving money. However, your employees aren’t going to know how to do things properly. When you factor in training, the time away from their actual tasks, and the poor job they’re going to do until they get the hang of it it’s just not worth the money to ask your staff to deep clean. If you find that you have a mold infestation, don’t get your employees involved. Call a full service cleaning company and make sure they have experience with mold. High density of mold spores causes health problems. Anyone with asthma, weak lungs, or even something as mild as a cold is going to be especially susceptible. Mold eradication is too important to risk with inexperienced workers. If you don’t run a full service cleaning company, don’t treat your staff like they work for one. You’re going to get better results for less money if you hire professional cleaners. Your employees do their part to keep the office or store clean. At the same time, don’t expect an untrained employee to know how to handle situations that involve hazardous chemicals or hazardous waste. Mold, deep stains, and water damage prove difficult for anyone, let professionals do what they do best. Call in the cleaning professionals to handle the tasks that are too much for your regular staff.